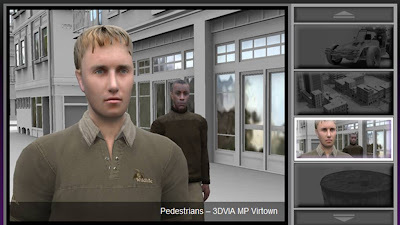 3DVIA is the newest of the 6 Dassault Systèmes brands. As a world leader in 3D and Product Lifecycle Management (PLM) solutions, Dassault Systèmes brings value to more than 100,000 customers in 80 countries. A pioneer in the 3D software market since 1981, Dassault Systèmes develops and markets PLM application software and services that support industrial processes and provide a 3D vision of the entire lifecycle of products from conception to maintenance. The Dassault Systèmes portfolio consists of CATIA for designing the virtual product - SolidWorks for 3D mechanical design - DELMIA for virtual production - SIMULIA for virtual testing - ENOVIA for global collaborative lifecycle management, and 3DVIA for online 3D lifelike experiences. 3DVIA extends 3D to new users, businesses and consumers in order to create new communities with 3D as the common language. With its open web services-based architecture, it enables high-performance distribution of 3D content. 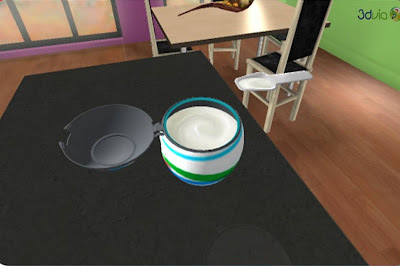 3dvia.com will be the meeting point for all the communities wishing to improving everyday's life with 3D. 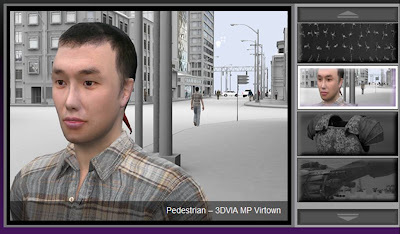 It will provide both 3D content and 3D services, either very generic or more dedicated to specific goals. It relies on dedicated infrastructure, leverages real-time display and behavioral 3D technologies, and provides services for everyone to imagine, create, share, experience or play in 3D. Dassault Systèmes announced late February the release of 3DVIA MP, a comprehensive development platform with a realistic real-time rendering engine for PC and Xbox 360™ (3DVIA MP was showcased at the Game Developers Conference in San Francisco February 20-22, 2008). 3DVIA MP will significantly improve the game development process by quickly bringing ideas into reality and aiding developers in producing high-end, 3D multiplatform games. 3DVIA MP for PLAYSTATION®3 (PS3™) and Web deployments will become available in the summer of 2008. 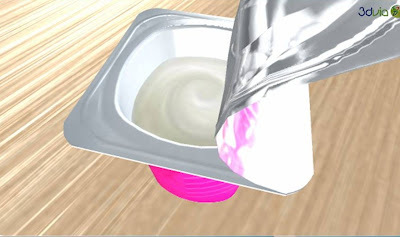 3DVIA MP strengthens and extends the philosophy and functionality of the Virtools 4 product line. Established in 1999, Virtools 4 technology, known for its unique behavioral engine, is the standard for game prototyping, casual games production and industrial applications, both online and offline. The all-new platform, 3DVIA MP complements the IP creation process and leverages its signature behavioral engine with the capacity to exploit the power of the Xbox 360 and PS3™ in production. • 3DVIA MP Production is the complete and flexible integrated production pipeline designed for multi-platform game development projects. Is a desktop application for revolutionizing the creation of product deliverables. 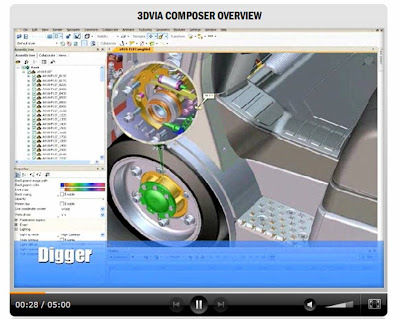 3DVIA Composer provides a single, easy-to-use to learn and use application designed for end users.